Tuesday's child is full of grace . . . Warwickshire, 1910. Pious young Grace Kettle escapes the world of her unsavoury and bullying father to train to be a nun. But when she meets the dashing and devout Father Luke her world is turned upside down. Her faith is tested and she is driven to make a scandalous and life-changing choice - one she may well spend the rest of her days seeking forgiveness for . . . Will delight fans of Dilly Court, Katie Flynn and Catherine Cookson. Have you read Mothering Sunday and The Little Angel, the first two novels in Rosie's Days of the Week collection? 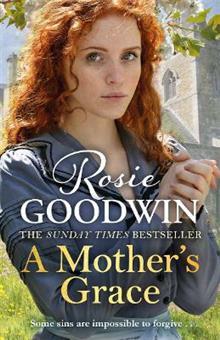 Rosie Goodwin is the million copy bestselling author of more than thirty novels. She is the first author in the world to be allowed to follow three of Catherine Cookson's trilogies with her own sequels. Having worked in the social services sector for many years, then fostered a number of children, she is now a full-time novelist. She is one of the top 50 most borrowed authors from UK libraries. Rosie lives in Nuneaton, the setting for many of her books, with her husband and their beloved dogs.